The vibrant colors of Guatemala are woven into a captivating table runner by the women of Komon Utzil. 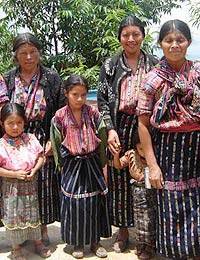 It is woven on a traditional pedal loom, which requires the combined efforts of up to three people to set it up, and the designs are inspired by the traditional Maya huipil blouses. The table runner is woven with a 1440 thread warp which allows for a substantial and lasting quality.